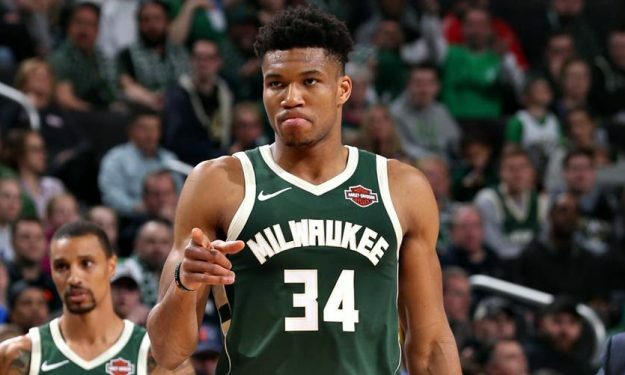 We are used to seeing imposing performances by Giannis Antetokounmpo by now, though he keeps providing with more exciting, record-breaking games. This time around, the Greek Freak joins Tony Parker and Dirk Nowitzki in a “Holy Trinity” of European players in the NBA who have scored 50 points and more. In fact, Giannis achieved the third-best offensive performance of a European up to this date! It is to be noted that Hakeem Olajuwon also deserves a mention at this point, as part of the “international” perspective of most points scored in a single game, with his 51-point performance against Boston on January 18, 1996, and his 50-point one against Denver on April 19, 1990. Relive Giannis’ career-high, 52-point performance here.